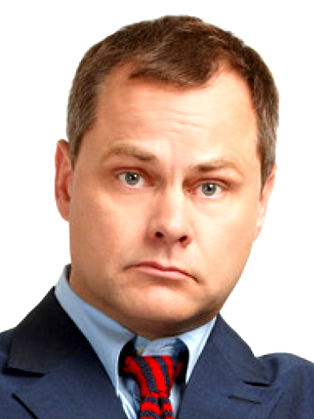 Now established as one of Britain's well loved and biggest comedy stars, Jack Dee has captured audiences and critics imagination with his dry humour and dead pan delivery. The winner of three British Comedy Awards and nominated for Best Entertainment Performer at the 2005 BAFTA's, he has been described by the press as "A modern comic marvel". Jack's stand up career began in 1986 when he delivered his first open mike spot at the world famous London Comedy Store. Like most established comedians it wasn't until 1991 that he got his first big break by being nominated for the Edinburgh Festival Perrier Award and wining the British Comedy Award for Best Comedy Newcomer. In 1992 Jack hosted the critically acclaimed The Jack Dee Show on Channel 4 which went on to run for two series, he then moved to ITV where he hosted Jack Dee's Saturday Night (1995) and Jack Dee's Sunday Service (1997). By 2000 he had moved to BBC 1 and presented two series of Jack Dee's Happy Hour. In 2004 Jack hosted for BBC1 his BAFTA nominated Jack Dee Live at the Apollo which has quickly followed by a second series in 2005. In 2006 Jack teamed up with Pete Sinclair to write the sitcom Lead Balloon for BBC4/BBC2, which has now been re-commissioned for a new series of 8 episodes for BBC2 in autumn of 2007. In 2008, Dee took part in the 15th anniversary special of Shooting Stars where he replaced Will Self as captain of Team A. The show aired on 30 December 2008 on BBC2 and returned as team captain in series 6 of Shooting Stars on 26 August 2009, and again for the 7th series. In 2010, Jack took part in Channel 4's Comedy Gala, a benefit show held in aid of Great Ormond Street Children's Hospital, filmed live at the O2 Arena in London on 30 March. Jack has six stand-up DVD's currently available all taken from his critically acclaimed tours; Jack Dee Live at the Duke of York's Theatre (1992), Jack Dee Live at the London Palladium (1994), Jack Dee Live and Uncut (1997), The Best of Jack Dee's Happy Hour (2000), Jack Dee Live at the Apollo (2002), and Jack Dee Live Again (2005). In 1998, Jack followed this up and fulfilled a dream and performed in a West End play for the first time, as Yvan in Yasmina Reza's award-winning play Art. The director Matthew Warchus was so impressed with Jack's performance, he asked him back to play the part of Serge for a 13-week run.